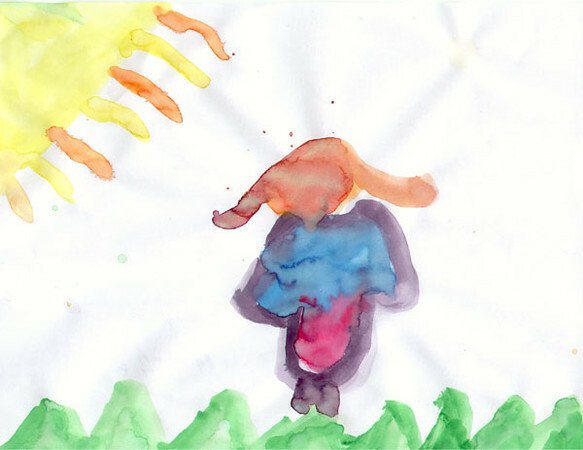 There is something powerful, honest and spiritual at work in art created by children. I am always on the lookout for it when either working with young people, or these days, when our own grandchildren are busy creating a masterpiece. And knowing how quickly their pieces of art can fall prey to getting crushed, lost, wet or trashed entirely, I'm pleased to bear witness to it with my camera.